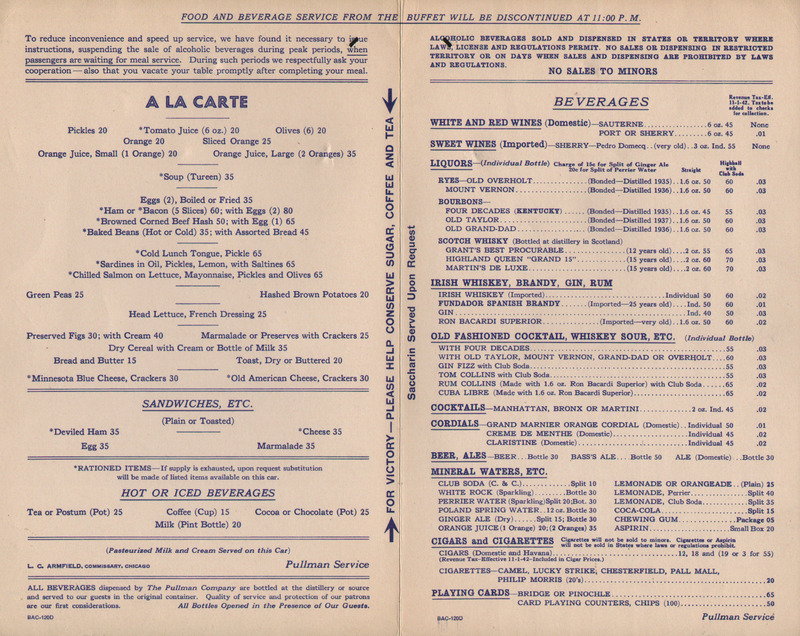 Description This item is a World War II (WWII) Restaurant Car (Pullman's term for a full dining car) Service Menu from 1943. A patriotic picture of a U.S. Marine aviator is on the stock cover. 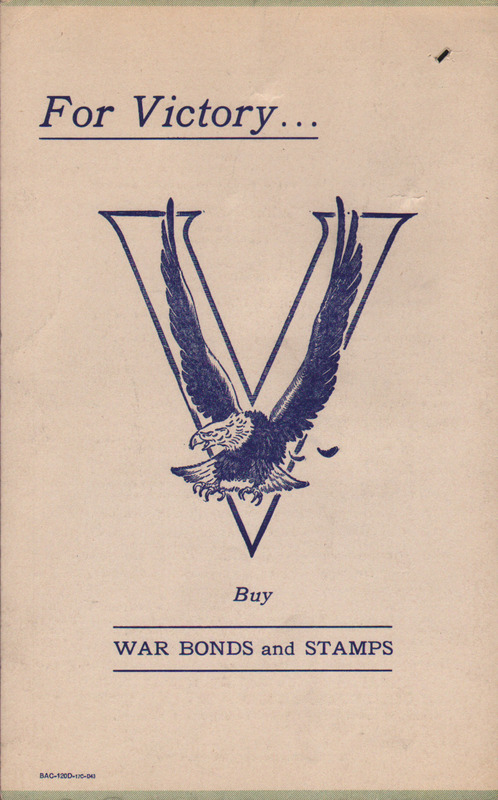 Like most if not all railroad and Pullman menus of the period, there are "Buy War Bond and Stamps" advertisements on the front and back cover. 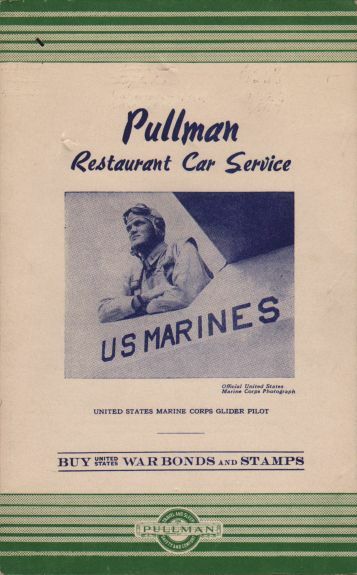 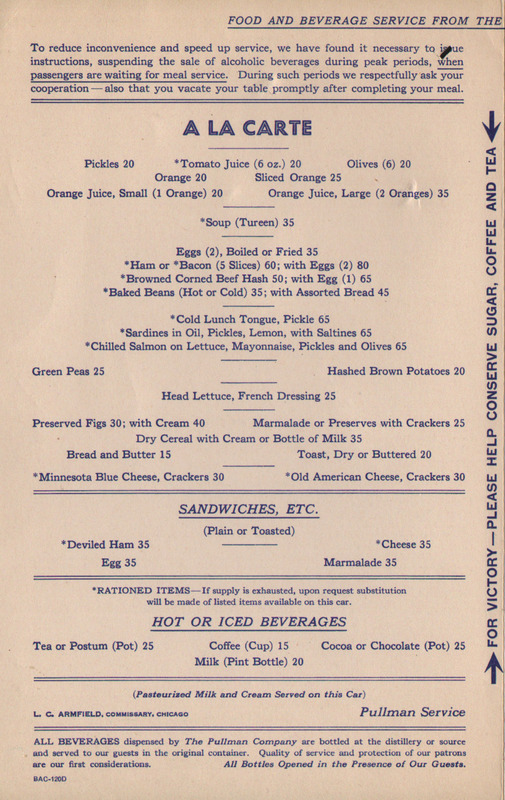 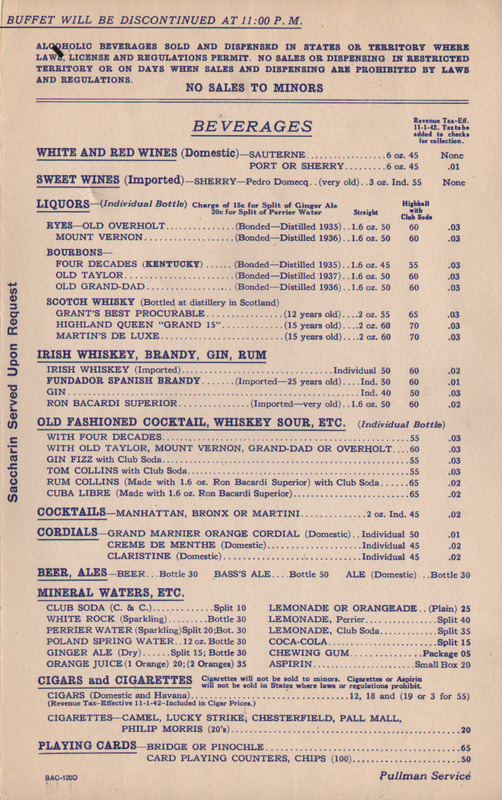 A nice menu is good condition for a Pullman menu.